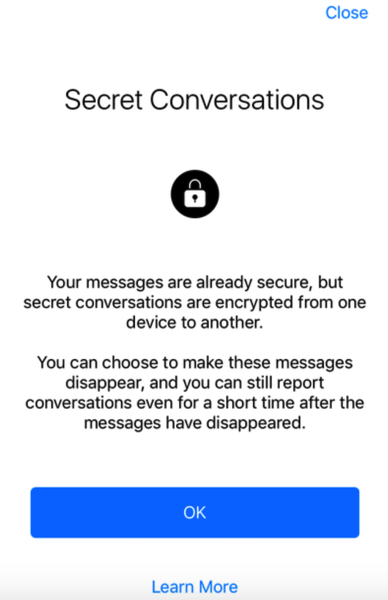 Open Facebook Messenger, and you will be shown details about how Secret Conversations work. Tap OK to continue. Tap the “Secret” button at the top right. Note that you can’t use features like location, payments or third-party apps in this mode. You will however be able to include photos and stickers. 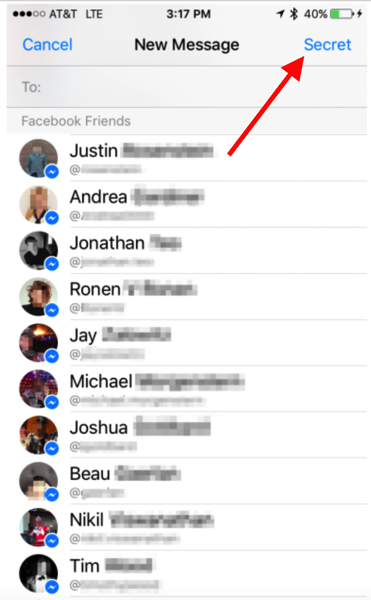 Now select a friend you want to have an encrypted conversation with, and send messages as you normally do. That’s it, you now have fully encrypted messages being sent to your Facebook friend.